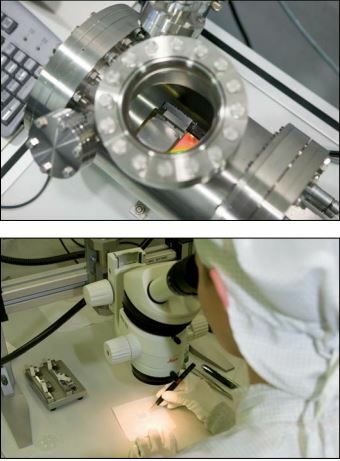 Vacuum technology plays a significant role in many modern production procedures and research tasks. Procedures using vacuum technology have become indispensable in the electronics industry and biotechnology, in thin-film deposition technology, in the development of new materials, and in medicine and analytical technology. When air is removed from an enclosed space, it gets thinner and, as a result, exerts less pressure: a vacuum has been generated. The smaller the amount of air in an enclosed space, i.e. the lower the pressure, the higher the resulting vacuum is classified. There are four classes of vacuum. An atmospheric pressure down to 1 mbar is called a low vacuum; below 1 bar one speaks of a medium vacuum. A vacuum below 0.001 mbar is a high vacuum, and at 0.000 000 1 mbar or less it is called an ultrahigh vacuum. A vacuum in the sense of enclosures free of air and therefore also of suspended particles is required wherever the presence of “foreign” particles must be prevented. In some cases, dimensional measurements are required within the area of a vacuum, for example if very fine structures must be inspected in the submicron range or particles must be split and examined. Widely known applications for linear and angle encoders in a vacuum include electron microscopes, manipulators, multiple actuators, XY tables, e-beam microscopes, wafer inspection in the semiconductor industry, or spectrometer axes for measuring synchrotron radiation. Most often it is possible to use standard encoders from HEIDENHAIN in a low or medium vacuum within a restricted operating temperature range. Encoders used for applications in a high or ultrahigh vacuum need to fulfill special requirements. One precondition for encoders used in vacuum applications is that outgassing is kept to a minimum, since otherwise the pressure in the vacuum chamber might increase excessively. In an ultrahigh vacuum, every component is critical. Some plastics, for example, exhale solvents. Such plastics are contained in printed circuit boards, adhesives, or coating materials and should be completely omitted in devices intended for an ultrahigh vacuum. HEIDENHAIN uses PCBs and adhesives suited to vacuum applications. The usual paints have been replaced by materials appropriate for vacuum technology. In ultrahigh-vacuum environments, the number of components must be kept to a minimum—interface and pulse-shaping electronics must be positioned outside of the vacuum chamber. 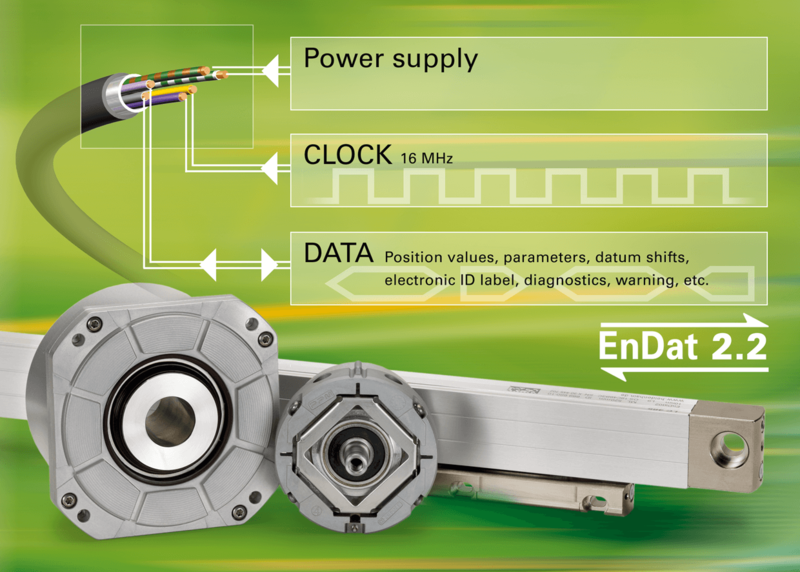 HEIDENHAIN therefore offers encoders with external interfacing hardware. For high-vacuum applications, one option is to place the interfacing hardware within the vacuum chamber. To generate a vacuum, the air must be removed from an enclosed space. The time needed for attaining the required low pressure, referred to as “pumping time,” should be kept to a minimum in order to enable the vacuum system to start working as soon as possible. The pumping time is reduced if the air can escape rapidly from the hollow spaces. HEIDENHAIN encoder housings are therefore provided with additional air vents, blind threaded holes are opened, and air vents are drilled into hollow spaces. Depending on the processes in the vacuum chamber, the use of certain materials in the encoders may not be permitted. Ferromagnetic materials must not be used in cathode-ray microscopes for examining microelectronic circuits. Vacuum-technology encoders from HEIDENHAIN are therefore made of non-magnetizable materials. To further reduce pumping time and attain a high class of vacuum, the vacuum chamber is heated to 100 °C or more. As a result, water molecules clinging to the encoder housing vaporize and can be pumped out more rapidly. Encoders for use in a vacuum must therefore be designed for temperatures of 100 °C and more. Encoders used in a vacuum chamber must be specially cleansed and exceptionally clean. Most types of lubricants and oils, even fingerprints, emit gases in a vacuum and must be avoided. Otherwise, very fine particles or dust might be set free and, for example, destroy the microelectronic circuits to be examined, or influence the results of experiments. Consequently, our encoders must fulfill specific requirements with respect to cleanliness, the manufacturing process, and proper packaging. HEIDENHAIN manufactures its vacuum compatible encoders in a clean room. The packaging is also specially designed. The encoder is doubly enclosed and the package is flushed with nitrogen before sealing. HEIDENHAIN encoders are equipped with connectors for vacuum housing lead-throughs. The linear encoders of the LIP and LIF series require interface electronics for signal conversion to 1 VPP. 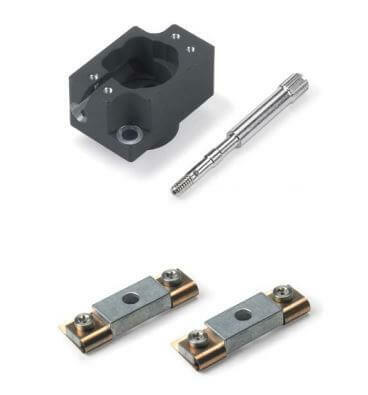 This interface unit is located in the D-sub connector that connects directly with the encoder for highvacuum applications and must be located outside the vacuum chamber for ultrahighvacuum applications. 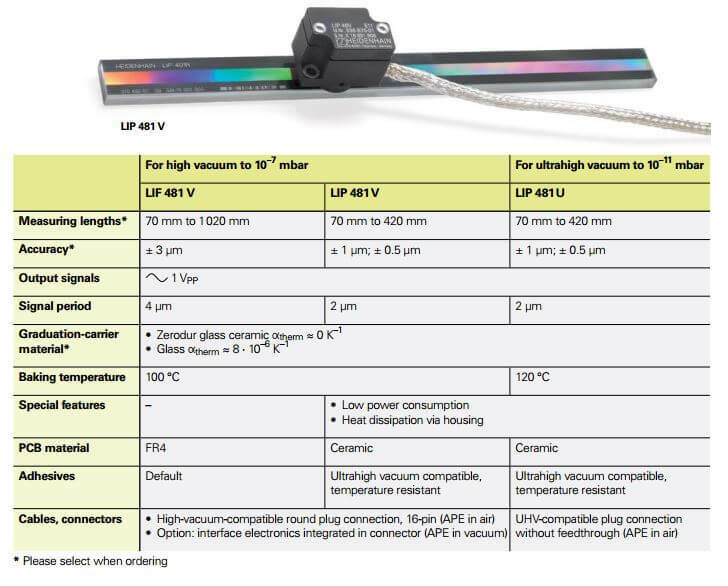 The LIP and LIF for high vacuum are therefore available with two cable versions. The cable between the scanning head and interface electronics can be up to 3 meters in length. The vacuum-compatible encoders from HEIDENHAIN were derived from standard units and modified. However, only the original scanning principle, optoelectronic and optical components have remained intact. The housing, PCBs, adhesives and coatings have been adapted to the requirements of the vacuum class. Moving machine applications require highly specific encoders capable of fulfilling a wide variety of requirements. Accuracy and reliability aren’t the only ones. Electronic components in a new hyperspectral satellite are mounted in an exceedingly compact space using HEIDENHAIN LIP 581 linear encoders and POSITIP 880 digital readout. EnDat 2.2 is well known as a digital, bidirectional interface for encoders. It is capable of both transmitting position values from encoders as well as updating information stored in the encoder. However, over the years, EnDat has evolved to new heights and there are features today that may be surprising to some.